The MeranCard FREE of charge! From 15th October 2018 to 30th June 2019 Hotel Oberwirt's guests get the exclisive guest card for free! The MeranCard can be obtained from 15th Ocotber 2018 to 30th June 2019 at selected partner hotels in Merano and its environs. It is included in the room price. The card is valid for the entire stay. The MeranCard 2018/19 is valid until 30th June 2019. 2. Rides on public cable cars in South Tyrol, which include the cable cars to Renon/Ritten, San Genesio/Jenesien, Maranza/Meransen, Meltina/Mölten, Colle/Kohlern and Verano/Vöran as well as the the narrow-gauge railway on the Ritten Mountain and the cable railway up to the Mendel Mountain. 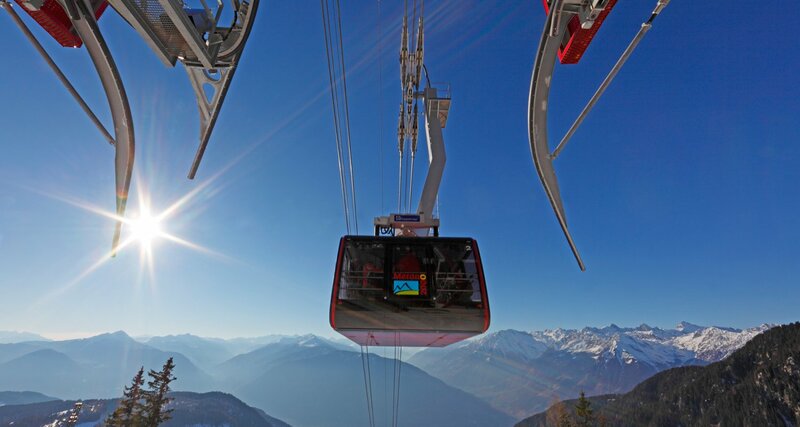 Private cable cars are not included. 4. 10% discount on bike and ski rentals at „Sportservice Erwin Stricker” rental stations and access to exclusive GuestCard advantages and offers.